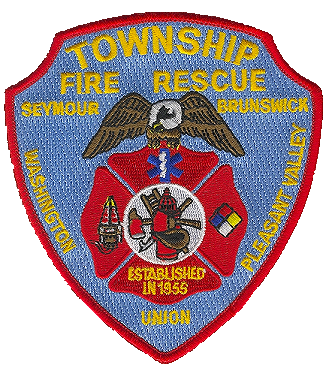 Special Rescue | Township Fire Department, Inc. In late 1998, members of Township Fire Department recognized a specific need for certain types of highly technical rescues. These types of rescues often present rescuers with unique and difficult situations. To address these types of incidents, the Special Rescue Division was formed. This group (open to any member or associate member) was aimed at developing and enhancing the functions of Swiftwater Rescue, Dive Rescue, High Angle Rescue, Ice Rescue, Confined Space Rescue, and Overland Search-and-Rescue. Interested members have been training together since early 1999 to share and practice their skills to become a fully functioning unit. To date, members have attended a number of specialized classes such as Basic River Rescue, Ice Rescue Technician, Public Safety Diver, Confined Space Rescue Technician, training in land searches, and numerous SCUBA certification classes. Members who attend these classes are able to bring new skills and techniques to TFD and share them with the group. Special Rescue Division members are trained to handle many forms of technical rescues in a smooth and efficient manner. The Special Rescue Division holds a number of in-house training sessions throughout the year where participants can practice the skills and techniques necessary to operate at a variety of technical incidents. These sessions (which are also open to all members and associate members) include learning and practicing new skills as well as performing mock rescue scenarios. TFD's Special Rescue Division has also worked with each of the five stations to acquire an assortment of specialized rescue equipment. TFD currently owns two boats (one at Station 1, one at Station 3); six all-terrain-vehicles (at Stations 1, 3, 4, and 5); two inflatable water rescue crafts (Stations 1 and 3); five GPS units (one at each station); a towable rescue trailer/sled; eight ice rescue suits; high angle ropes and hardware; swift-water rescue equipment, SCUBA equipment; underwater camera, dry-suits and other specialized equipment. The Special Rescue Division plans to continue training and outfitting stations with additional rescue gear over the years to come. This group demonstrates the dedication of TFD to continue and expand services to the residents of our Towns. It is important to TFD to be able to perform these rescues whenever and wherever the need arises.